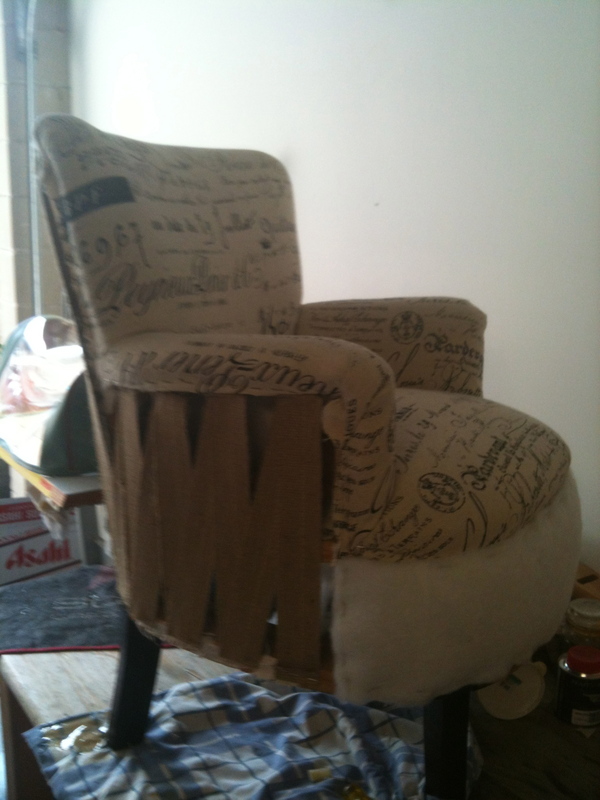 A friends daughter purchased an old bedroom chair at auction. 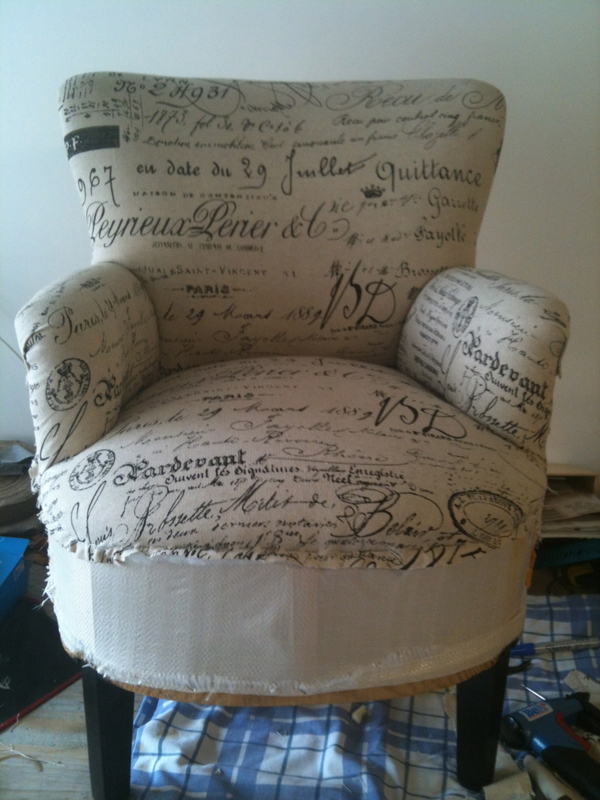 She managed to look past the old dated fabric to a chair that would look fab updated in an interesting fabric. Was I interested in doing this project ????? – of course I was. The first step was stripping all the fabric, staples, old foam – this takes a lot longer than you think. The legs were scratched so they were given a light sand, stained and were hand polished. A very satisfiying job and a happy customer.